﻿A winner is someone who recognizes his God-given talents, works his tail off to develop them into skills, and uses these skills to accomplish his goals. ﻿﻿​﻿​It was a magical 1979 basketball season for the Michigan State Spartans and the Indiana State Sycamores. The mighty Spartans, led by Earvin "Magic" Johnson played against the scrappy Sycamores, led by Larry Bird, in a NCAA title game which showcased 2 individuals who would go on to become the greatest players in the history of basketball. Legends are born at every level in every sport. Who would know at that time that Magic Johnson and Larry Bird would go on to have the most prolific careers in NBA history. This list tells the stories of legends across the board; not only how they excelled at top levels, but how they traveled the road to greatness. Describes the career and experiences of the great baseball player Hank Aaron, who broke Babe Ruth's home run record. With his slick basketball moves, Julius Erving became one of the most exciting players basketball has ever known. 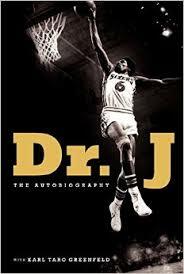 The book traces the both the life of Dr. J as a player and a person growing up. 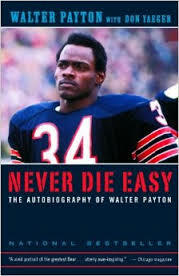 An autobiography written in the last weeks of Walter Payton's life, in which the celebrated running back for the Chicago Bears discusses his childhood in Mississippi, his college years, his extraordinary football career, his business and charity endeavors, and his devotion to his family.